Superdry men's Surplus Goods box fit t-shirt. 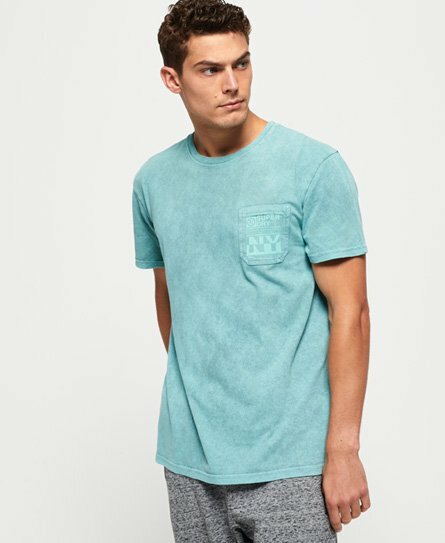 This soft cotton t-shirt is a must have update to your wardrobe, featuring a crew neck, short sleeves and chest pocket. The t-shirt is completed with a logo design on the pocket and small logo above the hem.